Ursus Jumbo Double Kickstand mounted and retracted on the Pedego City Commuter. 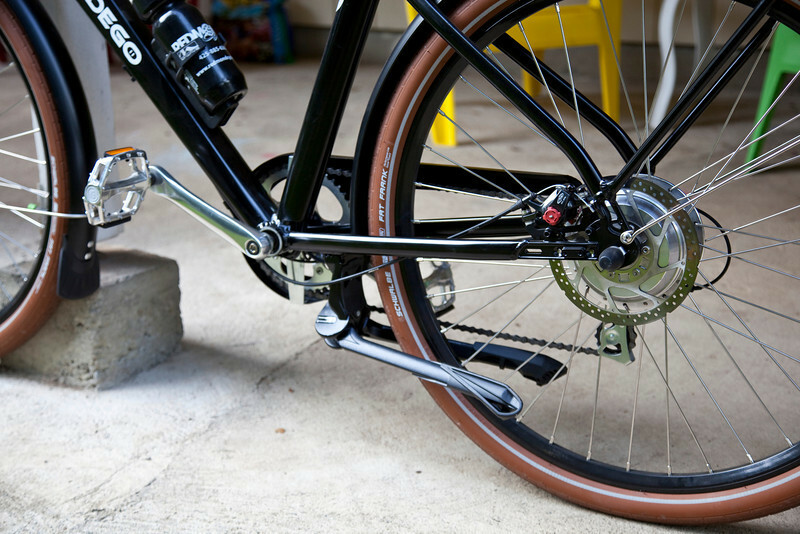 It tucks away nicely in alignment with the frame and rides low enough to not foul the chain. The lines are so elegant. I guess thats what you get with italian designers!